Daniel works as an active transportation researcher at the University of Toronto under the supervision of Dr. Beth Savan. His research interests include transportation, public health, and sustainable urban planning and design. Daniel hopes to help bridge the gap between academic research in the field of urban transportation and commonly-held concerns among stakeholders in urban districts. He holds an degree in Ecology and Evolutionary Biology + Environmental Studies from the University of Toronto, and recently completed a M.Sc. in Planning at the same institution. Mikey Bennington is an avid cyclist and bike culture enthusiast. His role at the Cycling Think & Do Tank involves managing the cycling economies research stream, which aims to document the economic impacts of increased cycling and to promote professionalization within the bicycle industry through a broader, more inclusive definition of cycling. Everyone has barriers to cycling, and Mikey believes that if we can empower bike store employees to support a wider range of bicyclists, we can truly nurture a strong North American bicycle culture. researchers and brokering community partnerships to inform, execute and document innovative programming that leveraged social infrastructure to increase bicycle use through behaviour change strategies. work involves community engagement, planning, policy research and active transportation communications projects. ​Claire Bodkin is currently pursuing her Masters of Public Health at the University of Toronto and is a research project coordinator with the Cycling Think and Do Tank at the University of Toronto. She volunteers as the assistant director of staffing for Camp Ten Oaks, a summer camp serving children and youth with LGBTQ+ families and identities. She also serves on the board of directors for the Parkdale Community Health Centre. In the Fall of 2016 she will start medical school at McMaster University. Her primary professional interests are LGBTQ+ youth health, health equity, and post-capitalist community development. Claire has held leadership positions at the YMCA, Easter Seals, and Evergreen, and brings over twelve years of experience working in partnership with diverse populations to promote health. She obtained her bachelors degree in Geography from the University of Guelph, and has a lifelong curiosity about the relationships between people, places, and power. As citizens, we must “think globally and bicycle locally” (Blickstein, S & S. Hanson, 2001). Emma is a graduate from the University of Toronto with a Master of Science in Urban Planning. With a socio-spatial background she fosters a strong interest in active transportation, the built form as it relates to public health, and city-building at the strategic and local level. She has both professional and academic experience in projects related to cycling and active transportation, open streets (ciclovia) programs, the creative and temporary use of vacant city space, and city-wide community engagement events. She played a key role, as a student researcher, in the early stages of this project. Her research involved completing an extensive literature review exploring key methods, experiences and studies where identifying barriers and fostering cycle-friendly behaviour was the focus. From this review, she compiled the information into a more easily digestible document by developing a framework for an integrated suite of tools or "toolkit" to increase cycle use in daily transport. George worked as research manager at the Toronto Cycling Think and Do Tank until 2016, when he moved The Netherlands to pursue a PhD in urban design, with a focus on cycling and the built environment. George is currently cross-appointed at the Eindhoven University of Technology and the University of Amsterdam, where he studies how ideas from urban design can guide the creation of healthy and attractive environments that encourage cycling as a practical and delightful mode of daily transport. His previous research at the University of Toronto includes a study of cycling patterns in the suburban communities of Toronto, Canada. His Masters project evaluated the effectiveness of bicycle mentorship programs in sustaining long-term transport behaviour change. George is a member of the Dutch Cycling Academy and the Amsterdam Urban Cycling Institute. Grant McLean is a lifelong cyclist with many years of experience in the retail cycling industry. He returned to academics and recently completed his York University undergraduate degree in Political Science and Urban Studies. Combining his personal interest and background in cycling with his urban planning studies, Grant understands that cycling for transportation is uniquely positioned to make many positive contributions to urban issues and landscapes. Grant is currently a Master of Science in Planning candidate at the University of Toronto, and joined the project team in the summer of 2012. Gary’s role with the Cycling Think & Do Tank arose from a shared interest in leveraging research, data analysis and synthesis to weave sustainability into city-building. Seeking out inter-disciplinary interactions and collaborations, Gary combines a career in engineering design and project management with a degree in environmental practice (completion in 2014) to create links between complex information and mechanisms for social and environmental change. He has been involved with projects initiated by several key organizations in Toronto, including researching systems of habitation at the Institute without Boundaries, developing a template for a mid-rise database at the Canadian Urban Institute and mapping cycling behaviour at the Cycling Think & Do Tank. He believes that sustainability is not a static practice but a process of daily choices and interactions. Enabling the behaviour changes that make cycling a preferred transportation option for more people is a key part of the framework. Gary cycles regularly in Toronto for transportation, exercise and just plain fun. He has commuted around Beijing by bicycle and has toured destinations in Southern Ontario and across the Netherlands on a bike. Max is an international student of the Master’s program ‘Transportation Systems’ in Munich, Germany. He’s passionate about promoting sustainable mobility in metropolitan regions to make our cities more livable. 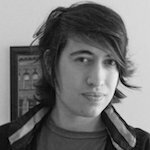 During his internship in 2015, he did not only enjoy cycling around the city, but he also worked with us on the evaluation of Bike Host, mapped latent demand for cycling in Toronto’s suburbs, helped actively in the BikeWrx and PedalWise programs and analysed data about cycling in cities for our scientific work. Back in Germany, he keeps doing research about better mobility options for everyone. 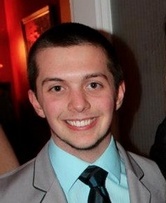 Daniel is a fourth year student at the University of Toronto studying both physics and environmental studies. He is interning at the Toronto Cycling Think & Do Tank as part of a professional experience course. Daniel loves biking around the city both commuting and just for fun so he was thrilled to become a part of a local organization deeply involved in sharing this passion. Lake Sagaris has over 30 years experience as writer, editor and urban planner, working in Santiago Chile and participating in conferences, symposia and exchanges in Canada, Europe, Africa, India and Latin America. In recent years, she has worked extensively on citizen participation in urban planning, particularly transport, issues. From 2007-2010, she worked closely with the Dutch NGO, Interface for Cycling Expertise (now the Dutch Cycling Embassy), brokering an agreement for international cooperation between the Dutch experts and the metropolitan Santiago regional government, to bring training, intensive workshops and a variety of participatory activities to help build a more cycling-inclusive city culture. In 2010, the Danish Cycling Embassy awarded her its “Leadership Award for Cycling Promotion” during the Velo-City Seville conference. She has also designed several award-winning projects that combine community leadership and involvement to achieve more sustainable, liveable, socially just cities. She has an MSc. in planning and community development and is currently completing her doctoral work in the same area, at the University of Toronto. She is a citizen of both Canada and Chile, the two countries where she has lived and cycled avidly all her life. During her years as a foreign correspondent (1981-2000) she filed regularly to the Times of London, the Globe and Mail, CBC, NPR, the Miami Herald, Business Week, Newsweek and other media. As bilingual editor and translator (2000-2010) she worked for Codelco, the Central Bank of Chile, the International Labour Organization, the Economic Commission for Latin America and the Caribbean, the UN Development Program and other bodies, public and private. As urban planner (1996-present) she has written and edited key publications on cycling-inclusive and other kinds of planning. The author of ten books,her non-fiction exploration of the social movements that culminated in the end of the Chilean military regime, After the First Death: A Journey Through Chile, Time, Mind, was shortlisted for the Governor General’s award of Canada (1996). Sagaris has a Master of Science in urban planning and community development (University of Toronto, 2006), and is currently completing her PhD (University of Toronto). Sonya is completing her MA in Anthropology and the Collaborative Program in Women’s Health. Over the last five years she has worked abroad in the fields of international development, sustainability and youth engagement. Her experience includes working in rural Tanzania on food security and water projects, as well as researching the lived experience of albinism. Before returning to graduate school last year, she was based in the UK for two years, where she developed trainings, events and educational materials for young people on sustainability and advocacy skills. She is interested in how cycling contributes to building healthier, more sustainable communities. Emily is a fourth year undergraduate student at the University of Toronto majoring in both Architectural Design as well as Environmental Studies. She is excited to explore the realm of urban planning focusing specifically on city cycling. She is interested in understanding how such areas as infrastructure, culture, policy, and environmental concern intersect in the promotion of bicycling in the city of Toronto. James Tay is a Masters of Public Policy student at the School of Public Policy & Governance, University of Toronto and a Junior Fellow at Massey College. His policy interests include Internet governance and open government. Prior to attending the School of Public Policy, James studied Internet censorship and surveillance in China and methods for bypassing the Great Firewall of China. Ben is a a fourth year student at the University of Toronto studying physics and environmental studies. He intends on continuing his studies and will pursue a career as a climatologist. 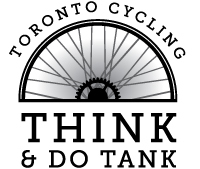 Ben is interning at the Toronto Cycling Think & Do Tank as a part of a professional experience course. My time within the group has taught and encouraged me to start cycling in Toronto and I now love riding in the city. Erin is completing her MA in Child Study and Education at OISE at U of T, having returned to school after working front-line at a youth homeless shelter. Erin is a summer work study student at the Toronto Cycling Think and Do Tank, and is a novice cyclist interested in issues of sustainability and behaviour change. Emily is excited to be the project's in-house cartographer and GIS Analyst. She learned to make maps at Brock University where she studied Geography and went on to win the Canadian Cartographic Association's President's Prize. She brings a wide range of mapping experience having worked on land use projects in both Toronto and the Niagara Region. After studying the Toronto Waterfront Revitalization while completing her Master's degree with U of T's department of Geography & Planning, she went on to work with the Province of Ontario to support this initiative. Emily is currently focused on an intensive GIS program at Fleming's Geomatic Institute. Her maps are central to the Cycling Think & Do Tank's research. ​After living in Bern, Switzerland for a year, Katie became fascinated with the potential for environmental sustainability in urban centres. She fell in love with their transportation system and their culture of sustainability. She graduated from the Master of Science in Planning Program at U of T, and her work with the TCT2 focused on mapping patterns and locations associated with cycling intensity in Toronto, as well as piloting the behaviour change toolkit for cycling uptake. Katie now works as a Planner in the Cycling Infrastructure & Programs Unit at the City of Toronto. In her spare time she trains for triathlons, and enjoys cycling for both recreation and transportation. Ben is an undergraduate student at the University of Toronto. Ben simplifies his Major in Peace, Conflict, and Justice Studies, Environmental Anthropology, and Writing and Rhetoric, by saying he's in the social sciences. Ben's experience includes lobbying Canadian and Ontarian Politicians to promote strong climate change legislation, and research into Canandian Intergovernmental Environmental Policy at the U of T School of Environment. Ben's interest include climate change, sustainable culture change, and encouraging those around him to be active citizens, and adopt sustainable practices in face of the climate crisis. As one of Etobicoke's small but growing cyclist population, Ben has long encouraged his friends and neighbours to take up cycling.